“The hour is coming, and is now here, when the true worshipers will worship the Father in spirit and truth, for the Father seeks such as these to worship him. God is spirit, and those who worship him must worship in spirit and truth” (John 4:23-24). Clearly, the worship described by Jesus in these verses suggests an authentic, living faith that is truly universal. By its very nature it reaches across cultures and transcends ethnic and sectarian divisions. But what are we to think of those who lived before Jesus or who have never heard the name of Christ? Are they excluded from salvation history? Have they no access to the truth? Have they no spiritual inheritance to claim? Your ancestor Abraham rejoiced that he would see my day; he saw it and was glad.” Then the Jews said to him, “You are not yet fifty years old, and have you seen Abraham?” Jesus said to them, “Very truly, I tell you, before Abraham was, I Am.” (John 8:56-58). Have you not read what was said to you by God, “I Am the God of Abraham, the God of Isaac, and the God of Jacob’? He is God not of the dead, but of the living” (Matthew 22:31-32). “I Am the resurrection and the life. Those who believe in me, even though they die, will live, and everyone who lives and believes in me will never die” (John 11:25-26). “As many of you as were baptized into Christ have clothed yourselves with Christ. There is no longer Jew or Greek, there is no longer slave or free, there is no longer male and female; for all of you are one in Christ Jesus. And if you belong to Christ, then you are Abraham’s offspring, heirs according to the promise” (Galatians 3:27-29). “[Christ] was in the world, and the world was made by him, and the world knew him not. He came unto his own, and his own received him not. But as many as received him, to them gave he power to become the children of God, even to them that believe on his name: Who were born, not of blood, nor of the will of the flesh, nor of the will of man, but of God” (John 1:10-13). The passion of Jesus, as represented in the New Testament, is this universal truth WRIT LARGE. But the purpose of the written word is to point to the living Word. 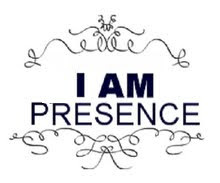 And, as we have shown elsewhere (and will discuss in more detail, below), our point of contact with the living Word is the “I Am” presence within us— that Divine presence which is truly universal —the light that lights everyone who comes into the world (John 1:2, 9). “Indeed he is not far from each one of us. . . . as even some of your own poets have said, ‘For we too are his offspring'” (Acts 17:27-28). “Listen! I am standing at the door, knocking; if you hear my voice and open the door, I will come in to you and eat with you, and you with me” (Revelation 3:20; cf. 22:17). “The light has come into the world, and people loved darkness rather than light” (John 3:19). 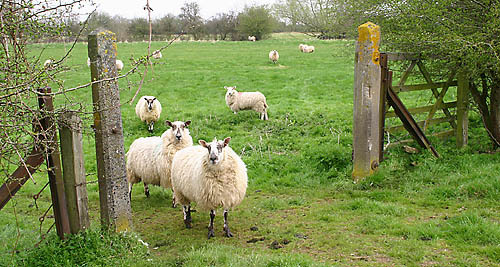 “Very truly, I tell you, I Am the gate for the sheep. All who came before me are thieves and bandits; but the sheep did not listen to them. I Am the gate. Whoever enters by me will be saved, and will come in and go out and find pasture. The thief comes only to steal and kill and destroy. I came that they may have life, and have it abundantly. . . . My sheep hear my voice. I know them, and they follow me. I give them eternal life, and they will never perish (John 10:7-10; 27-28). “Enter through the narrow gate; for the gate is wide and the road is easy that leads to destruction, and there are many who take it. For the gate is narrow and the road is hard that leads to life, and there are few who find it (Matthew 7:13-14). “This is the gate of the Lord; the righteous shall enter through it. I thank you that you have answered me and have become my salvation. The stone that the builders rejected has become the chief cornerstone. This is the Lord’s doing; it is marvelous in our eyes. This is the day that the Lord has made; let us rejoice and be glad in it” (Psalms 118:20-24; cf. John 14:6-7). 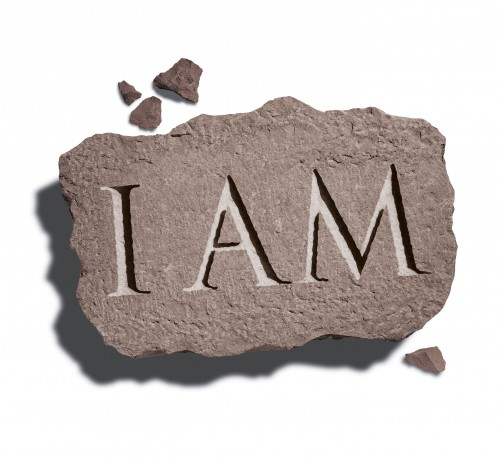 Just like the stone that builder rejects, the “I Am” presence within us is pushed to one side as we pursue our prodigal escapades with an entourage of thieves and bandits—willing, as we are, to exchange our birthright for a mess of pottage. The good news, however, is that the kingdom of heaven is always at hand (is within us and among us) and that whosoever will may come (cf. Matthew 3:2; Luke 17:20-21; Revelation 22:17). Now is the accepted time… Now is the day of salvation! (II Corinthians 6:2). Jesus answered him, “Very truly, I tell you, no one can see the kingdom of God without being born from above.” Nicodemus said to him, “How can anyone be born after having grown old? Can one enter a second time into the mother’s womb and be born?” (John 3:3-4). Jesus answered, “Very truly, I tell you, no one can enter the kingdom of God without being born of water and Spirit. What is born of the flesh is flesh, and what is born of the Spirit is spirit. Do not be astonished that I said to you, “You must be born from above.’ The wind blows where it chooses, and you hear the sound of it, but you do not know where it comes from or where it goes. So it is with everyone who is born of the Spirit” (John 3:5-8). “Every generous act of giving, with every perfect gift, is from above, coming down from the Father of lights, with whom there is no variation or shadow due to change. In fulfillment of his own purpose he gave us birth by the word of truth, so that we would become a kind of first fruits of his creatures” (James 1:17-18). Thus, through the eyes of the flesh— i.e. through our natural perception as employed by the carnal or egoic mind —we perceive, evaluate, and attempt to manipulate the apparent unfolding of our lives in space and time (appearing, as it does, to originate horizontally, so to speak, or naturalistically). But through the eyes of the Spirit— i.e. through the mind of Christ —we see the eternal creation which is fresh and new every moment [originating from deep within and high above us—originating vertically, so to speak, or epiphanously—bubbling up from within our hearts, like an eternal spring of living water (John 7:38); or coming down from above like every perfect gift from the Father of lights (James 1:17)]. As it is written, we are in the world (as perceived by the carnal or egoic mind), but (Christ-like) we are not of the world (cf. John 17:14-16). We have this hope, a sure and steadfast anchor of the soul, a hope that enters the inner shrine behind the curtain where Jesus, a forerunner on our behalf, has entered, having become a high priest forever according to the order of Melchizedek. This “King Melchizedek of Salem, priest of the Most High God, met Abraham as he was returning from defeating the kings and blessed him”; and to him Abraham apportioned “one-tenth of everything.” His name, in the first place, means “king of righteousness”; next he is also king of Salem, that is, “king of peace.” Without father, without mother, without genealogy, having neither beginning of days nor end of life, but resembling the Son of God, he remains a priest forever” (Hebrews 6:19 – 7:3). What a beautiful description of the “I Am” presence which IS the living Christ —“a sure and steadfast anchor of the soul” within the “inner shrine behind the curtain” (transcending the veil of time and at-one with the Father). “Taste and see that the LORD is good” (Psalms 34:8). Then Jesus said to them, “Very truly, I tell you, it was not Moses who gave you the bread from heaven, but it is my Father who gives you the true bread from heaven. 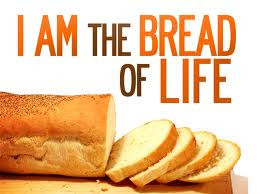 For the bread of God is that which comes down from heaven and gives life to the world.” They said to him, “Sir, give us this bread always.” Jesus said to them, “I Am the bread of life. Whoever comes to me will never be hungry, and whoever believes in me will never be thirsty. But I said to you that you have seen me and yet do not believe (John 6:32-36). Likewise, the gift of aware presence shines forth from the soul of every human being– created as we are, in Christ —in the beginning with God! “For with you is the fountain of life; in your light we see light. O continue your steadfast love to those who know you, and your salvation to the upright of heart!” (Psalm 36:9-10). The upright of heart are those of any era or culture who, like Abraham, are justified by faith—those who trusting in and relying on Him, truly see His day. Each one of us sees (by virtue of) this light, but few recognize Him as Lord—few recognize in Him their real origin and destiny. “But as many as received him, to them gave he power to become the children of God, even to them that believe on his name: Who were born, not of blood, nor of the will of the flesh, nor of the will of man, but of God” (John 1:10-13). Thank you for speaking the Name. In so doing … I am ever echoed. This is a very noble endeavor to take this on — to take this Truth and articulate it as richly and fully as you did. Thank you. This is powerfully good. I humbly submit this article for your consideration as you seek out the length and breadth of this thing… In a post (link below) I touch on a universality of Christ — I mean the universality of that which is actual Christ, not the word “Christ”. Some of your experience and insight here resonates with my own sense of things, however my own bent has been toward never calling the reader back to Christ (the Spirit) by the name Christ or Jesus…but pointing them to the narrow band of truth within their own faith tradition and the HUGE amount of power in that. 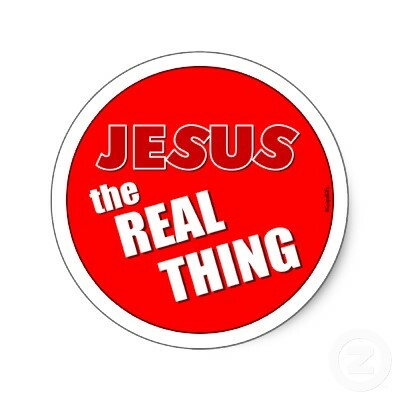 Do you find that Christ (the Truth) is large enough a Truth to be found, as is, in other people’s faith traditions? ps. I wonder if you’ve ever heard or read anything by John Thatamanil on this topic? I think his written work is too intellectual for me but I heard a talk he gave at a church one day, and learned that his mission, in a sense, is to help Christians find the ways that their own faith gives them permission to be this inclusive and magnanimous toward other faiths. He was very good at it! You remind me of him, a bit!